Winter holidays or winter vacations? I recently discovered that for the Americans the word “Holidays” doesn’t always mean “Vacation” shame on me! Pick one and… have fun! Perfect for people who want to chase the sun during the winter months! In Mexico, from November to March the weather is fabulous and even if it is high season, if you look at places that are not super touristic you can cut good deals for your accommodation and tours. One of the most beautiful gems in the Riviera Maya, stunning turquoise water and perfect for snorkeling and relaxing, this is one of the ultimate destinations in Mexico during winter. Forget the coat and bring your swimsuit and flip flops! Getting there from Cancun or Playa Del Carmen might be a bit tricky using public transport, to avoid any stress I recommend this very popular guided tour if you are not planning to stay more than one day and you want to see other stunning places during your vacation (and you should!). Below are some of the tours you can check out for Isla Holbox. In my opinion, given that I have now lived in Mexico for 2 years, they are the perfect option if you don’t want to waste both money and time. (Please note that the whale shark activity is only available from May to September so it’s not something I recommend if you are coming here for your winter holidays, you would be disappointed as these animals migrate and can only be spotted in certain months). The MUSA undereater museum is located near Cancun, and it’s an experience that will leave you completely speechless, you’ll find statues of cars parked at the bottom of the ocean, houses, people and more. For some, this might seem a bit creepy but the intentions when the Museum was created were very noble. The Museum aims to demonstrate the interaction between art and environmental science and form part of a complex reef structure for marine life to colonize and inhabit whilst increasing biomass on a grand scale. All of the sculptures are fixed to the seabed and made from specialized materials used to promote coral life. You can’t go there by yourself but only with organized tours. I couldn’t find anything online but it’s easy to book one when you are in Cancun or Playa Del Carmen. If you are not up to scuba diving, you can also see them through the surface by snorkeling or in one of those special bottom glass boats. The experience won’t be “up and personal” as when you go down but still very enjoyable! Oh, the bonus of this? it is FREE! There will be people on the beach trying to tell you that you have to pay for the live best and other things, but you can simply say no, walk down the beach and swim to spot one yourself. The beach is not private, you only have to pay for the parking spot if you go by car and that’s it!. Sardinia is a very popular destination during the summer months but unfortunately often overlooked during the winter months, which is a shame as the Island is not just beautiful beaches and sea, it has so much more to offer to the tourist also during the winter. I’m working on two massive articles about the best things to do in Sardinia In winter and in summer (for those who wish to return and enjoy the beautiful beaches as well). The articles are (almost) ready, but since I want them to be super useful for you I am adding as much concrete info as possible, so if you want to know more about my “Wonderland” and what you can experience during winter, you can either come back in a couple of months (yes the guides are very detailed!) or you can subscribe in here and you’ll get an email when they are FINALLY READY. Open all year, this archeological site will blow your mind and it’s the most famous Nuraghe complex in Sardinia, listed as one of the UNESCO Heritage sites (within reason!). I will talk extensively about this amazing site in my things to do in Sardinia guides but if you want an overview of what a Nuraghe is (at least!) check it out in here. Tip from a local Sardinian (aka me! ): Try to go there at 1-2 hours before sunset so you will have the time to visit the Nuraghe complex, the museum and…admire the beautiful sky over the fields surrounding the area! La Sella Del Diavolo or “The Devil’s Saddle” (name taken after its shape) is located in Cagliari, Sardinia’s capital, at the very beginning of the city beach Poetto. It’s an easy-medium difficult hike where you can admire the incredible views of the city and the crystal clear waters from the rocks on top. Orgosolo is a small village in the Barbagia area (central Sardinia) super famous among the locals for its amazing murals scattered all over the village walls. 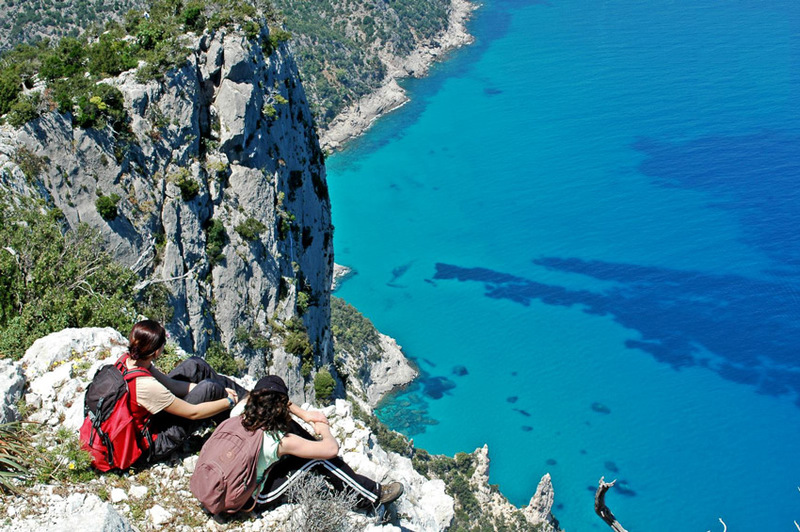 You will be able to experience the REAL Sardinia essence without any tourist in sight. If you want to see what a real Sardinia village looks like, then Orgosolo is definitely an excellent choice! Tip from a Local Sardinian: Don’t forget to politely nod when you meet elderly locals on the streets, they will truly appreciate it! They won’t be difficult to spot: The men wearing the traditional “Berritta” (a velvet cap) and the women with their “Mucadores” (a piece of fabric to cover their heads). If the women are dressed all in black, it means they are widowed. There are a lot more things to do and see in Sardinia, click on the first link “Best things to do in Sardinia in winter” to have a complete and detailed idea! Looking for a place to stay in Sardinia? Well, being it a very large Island people often miscalculate and think that they can visit everything in one week 🙂 So I just leave you with a link to the best accommodations in Orgosolo from my preferred Hotel search engine. When I’m done, I’ll also link to another great article I’m working on, with the top accommodations in Sardinia as rated by people who booked them using this website. So you will know what other people liked the most (not just me!). You can also check out this website to find vacation rentals all over the world. FURTHER READING: If you need some further inspiration, after finishing reading this, you can read another great article (I also contributed to that too), where other travel bloggers give their best advice on many other winter destinations!Check out the twelve winter vacation ideas article by clicking the link! Another perfect destination for people who want to escape the cold winter months to see one of the most amazing Islands in the world! It is just 15 min away from Siargao and so small that you can walk around it in 5 minutes! You’ll be only surrounded by palm trees and a beautiful emerald sea. I went there several times, it’s super cheap and quick and you will feel like a modern Robinson Crusoe if you are lucky enough to go when the other boats are gone or still e-route 😀 Price for the ride? not more than a couple of dollars tops! This is a real paradise! only one word of advice: don’t attempt to learn surfing in there as it’s just for advanced surfers, but there are other spots in the islands where you can learn the basics without much risk! Guyam is also in the itinerary but if you want to discover more, get into a boat and marvel at some of the most jaw-dropping (and almost deserted) island in the Philippines: Naked island: consisting in a stripe of sand and NOTHING MORE (a surreal experience) and Daku island, where to have your lunch on the deserted beach. Highly recommended! All these tours can be easily booked once you are there just by asking the manager of the place you are staying. Prices vary, usually depending on how many people will be on the boat, but it will still be super cheap (around 15/20$ for the whole day, including meals). A place I recommend? Romantic Beach Villas. It can be romantic… or not, as the rooms can accommodate a group of people and let you save money! Siargao is also full of super cheap accommodation if you are on a super tight budget, so don’t worry about it! Definitely, my absolute favorite. The park is super big and hosts an enchanting Medieval Castle along the Po river that will take you back in time (for real!) don’t miss the botanical gardens and if you are lucky and it’s snowing, the atmosphere will be breathtaking! I could write a whole article about things to do at the Valentino Park, but I will leave the place to speak for itself when you are there! 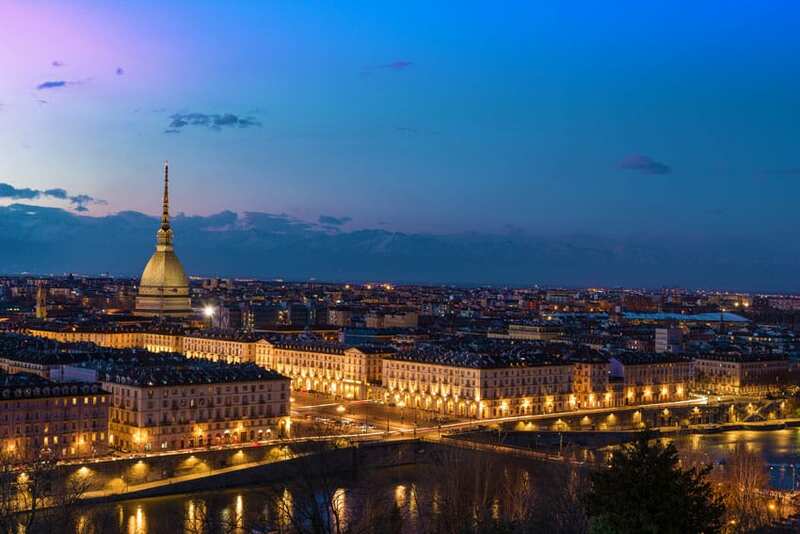 Yep, you read that right!, Turin is famous for chocolate so much that it’s considered the Chocolate Capital! (especially the “Gianduiotto” a piece of chocolate shaped like the famous piece of gold called Lingotto. From the 8th to the 18th of November you will be swept away trying all sort of chocolate you have ever imagined in the street stands in the city center. The festival is called “CioccolaTo'” combining the world Chocolate with Torino. Located in Piazza Castello in the city center. Not many people know that Turin was, before Rome, the first Italian Capital. Before Italy became a democracy, Turin was chosen as the residence of the King and Palazzo Reale is its true gem. When I first visited it I couldn’t believe what my eyes were seeing. Don’t skip the dance room full of mirrors and velvet red curtains all over, it is truly astonishing, and it will not be the only room that will have that effect on you! Looking for Cheap Hotels in Turin? Here is a list of the best hotels by location and value, according to independent reviews. Thailand has so many Islands that it is rather difficult to choose one! I lived in the country for more than 3 years and Koh Tao is one of the best for sure. Not only for its coves and beaches but also for its diverse marine life, the colorful corals and scuba dive possibilities. And if you search your accommodation carefully it can be very cheap. Recently Koh Tao has been all over the media for some “suspicious death of some tourist, but since I have lived near Koh Tao for almost 2 years and went there on a regular basis, I can say that, as usual, the press like to exaggerate things. Although every death is obviously a great tragedy, after further investigation, the rate of incidents or murders is not different than walking the streets of London in plain daylight. The thing is, some people when on vacation, especially young people, tend to act more freely, drinking more than they should and in many cases, driving afterward. I’ve seen this behavior all over the world in touristy destinations, so my advice is just to be careful as you would in any other place, don’t provoke the locals, don’t use illegal substances and simply stay away from trouble! I had a great time in Koh Tao every time I was there, even when there were parties going on in the main beach (Sairee beach). It only takes common sense to avoid the many dangers we face ALL OVER THE WORLD. Many people visit Koh Tao and never attempt to scuba dive because they don’t have the license. Well, you are in luck! 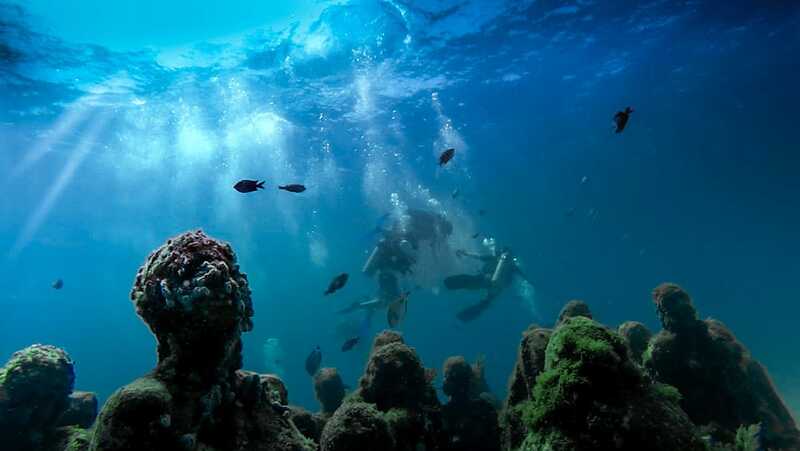 The island is very famous for its many scuba dive courses, some of them will only last a couple of days and then you will be able to literally immerse yourself in its magical underwater world! Obviously, choose a reputable one and don’t do anything foolish! 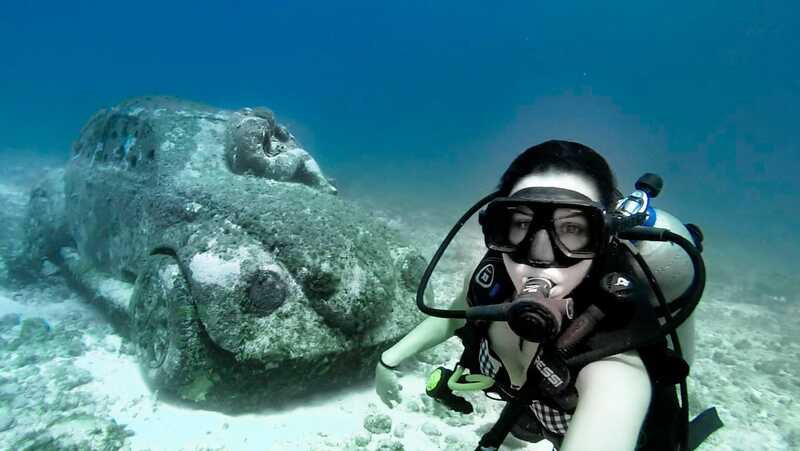 This is a must, even if you don’t scuba dive, it will give you the possibility to at least snorkel in its crystal clear waters and even spot Whale sharks if you are lucky! Some of the coves are completely isolated and can be only accessed by boat, an experience like no other, the contrast between the green tropical vegetation with the turquoise color of the sea are breathtaking. 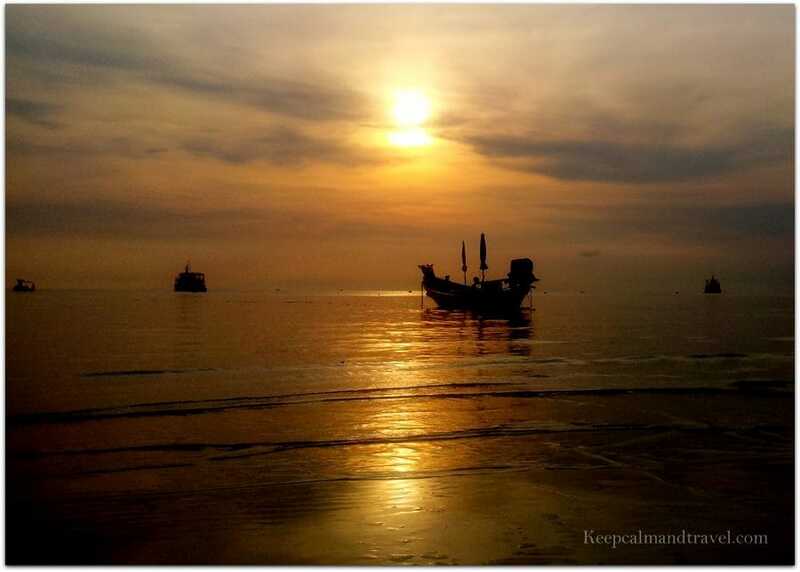 Looking for Cheap accommodation in Koh Tao? Here is a list of the best hotels by location and value, according to independent reviews. So, which one would you choose among these? Do you have any other place you would love to add to the list? leave a comment! Beautiful idea. Sound like great. So much helpful also. Thanks for sharing. Interesting Post. I love traveling. All the places are too good. 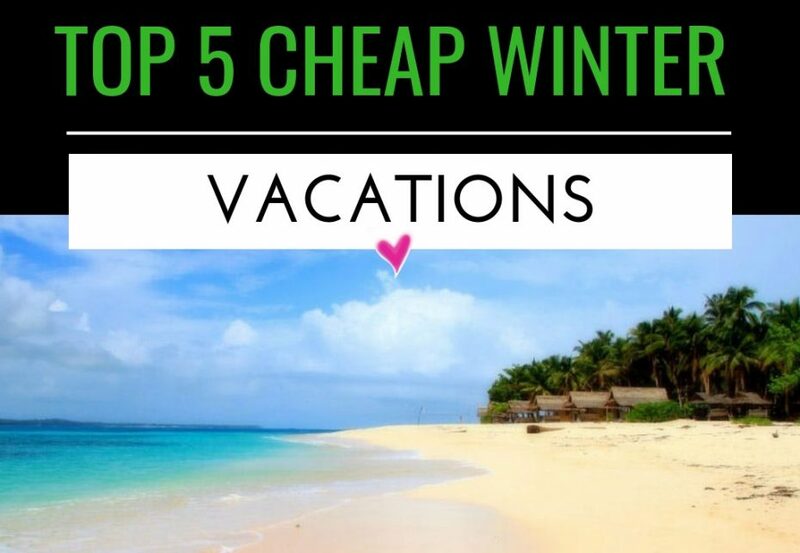 Thank you so much for sharing the top five winter vacation places. I would like to share with my friends. Iran is one of the cheapest destinations now and has lots of beauties, I think you should visit Iran. Great post! 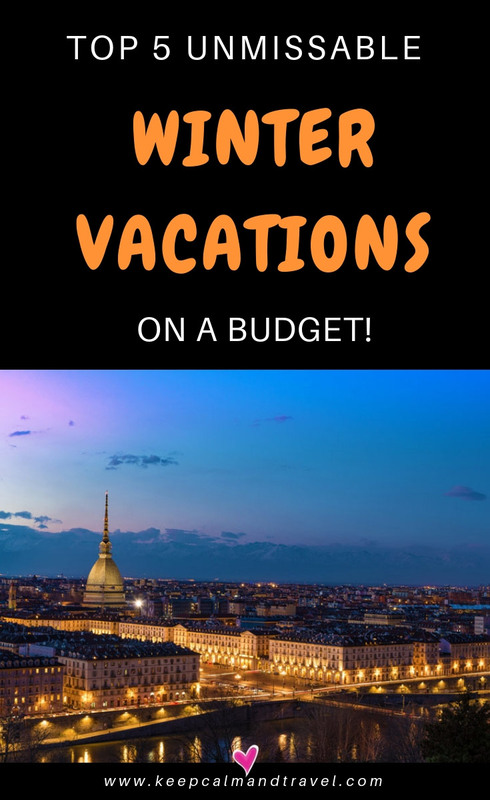 Turin is fabulous because it’s cheaper than the other cities and has a lot of sights for the visitors to be discovered. So Underrated, to me is much better than Milan. More accessible and with a great vibe. 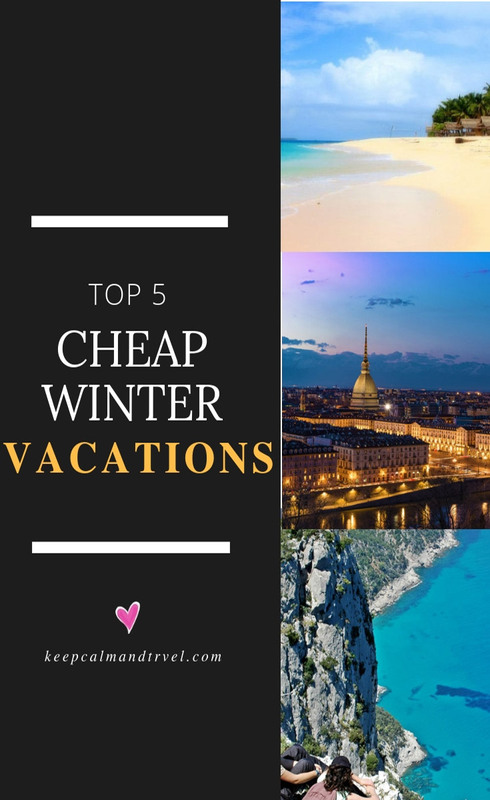 Thanks for the other suggestions, I need some new place to visit this winter!